CLASSIC Modern Atlantean Machine Triad with solid 24k gold focusing discs come in a beautiful genuine blue velvet gift box. 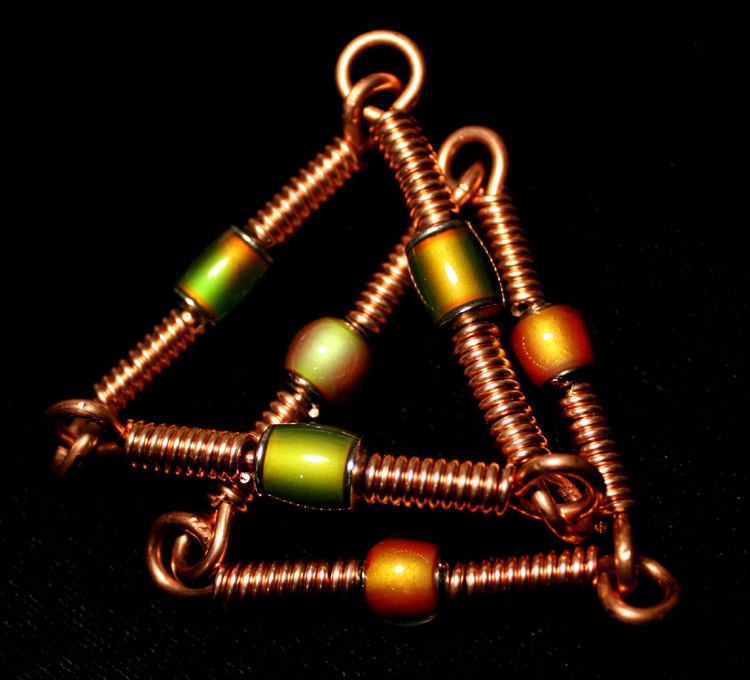 The CLASSIC Triad is made with Normal Blue Mermaid EMO color-changing beads for the focus points, Floral EMO Tubes and solid handmade pure copper HEDGEHOG beads, formed on a solid .16 gauge pure copper CORE wire, joined at the corners to form a powerful triangular focusing device used by the ancients in almost every early civilization. 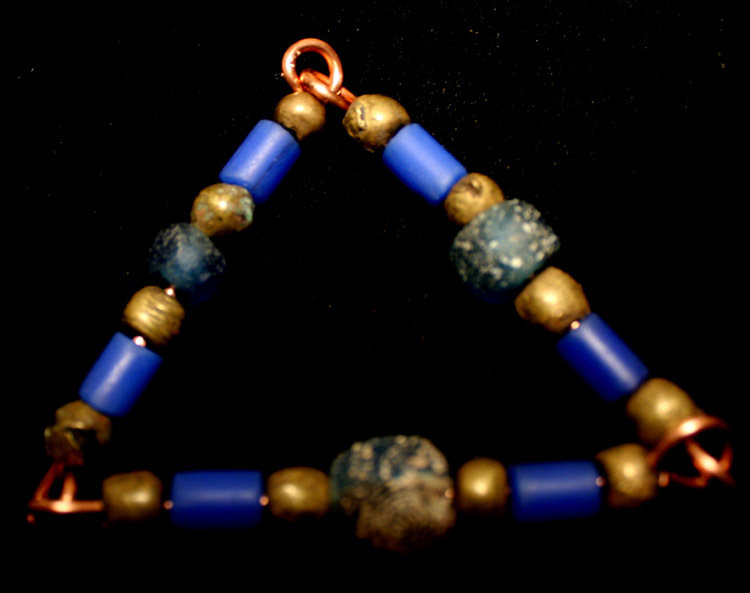 This reconstructed Triad features Ancient Cobalt Glass & solid Electrum Gold Beads. Electrum is a natural amalgam of gold with some silver, in this case about .850 fine. While they were used mostly for healing, the ancients had other purposes to which they put the Triad and other Atlantean Machines. The solid gold discs are hand-artisaned with the Atlantean symbol, and are used in the acrylic capsules for focusing the particle beam from the Triad to the target area. In ancient times, gold coins were used, and genuine ancient gold coins from about 450 B.C. are available for about $4,000 apiece -- you'll need three of them to begin with. Ancient gold coins are so expensive that it's just not worth it. The sold 24k gold discs I make are inexpensive and contain enough gold in them to interact with the energy beam. 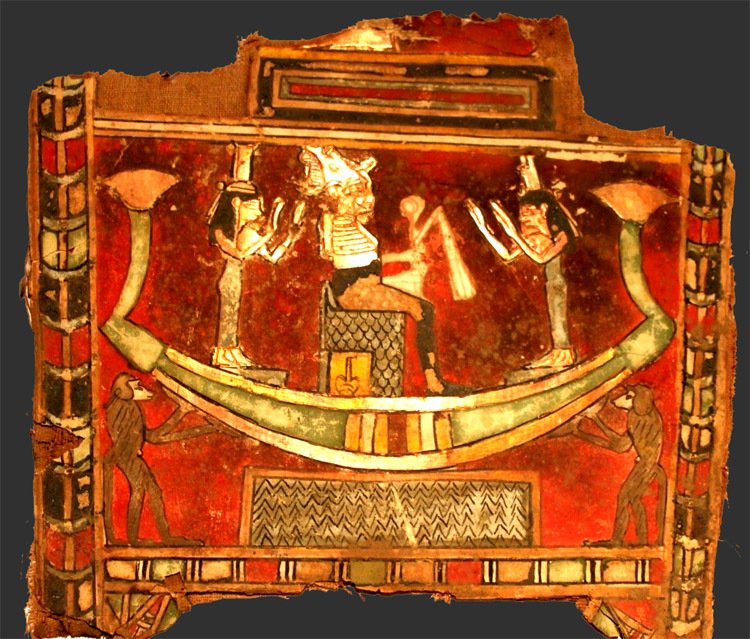 Atlantean Triads were in use as early as the 12th Dynasty in Egypt. The Triad is a FOCUSING device. It has no qualities other than focus. Healing energies of all kinds from many different sources can be directed through it, especially Angelic Healing Energies. Think of Angels as a special kind of alien extraterrestrial, and you'll be better able to communicate with them and enlist their help in healing actions that you are directing on Present-Day Earth. WHERE DID THE TRIAD COME FROM? Excavated glass and gold Triad, Island of Lesbos, workshop of Klymnos. In ancient times, the Triad was given to the Atlanteans, Sumerians, Akkadians, Lemurians, Mayans, Babylonians, Egyptians and Mohenjo-Darans, all of whom used them and made enough of them that some have come down to us in modern times. I have dozens of excavated Triads, some of which are undoubtedly Atlantean by design and are possibly from the original "mainland", just north of what is now the city of Cadiz, in southwestern Spain, quite near the Pillars of Hercules (Herakles). Excavated Triads can be used, but it would be a terrible loss, because the patination would quickly wear down. Antiquities should be preserved just as they are. It is criminal to repair or polish an ancient bronze, but sadly, it does happen. I prefer to copy the ancient Triad in modern materials, which sounds awful, but actually, you'd be surprised how very little civilization has advanced since the ancient days. Copper, pure copper without lead, without zinc, can be had easily, although the price of copper has been driven sky-high by the Chinese, who use it for a war material. Reconstructed Ancient Triads. See individual photos for details. The FOCUSING beads that the ancients used typically cannot be successfully delineated down to one type of bead. 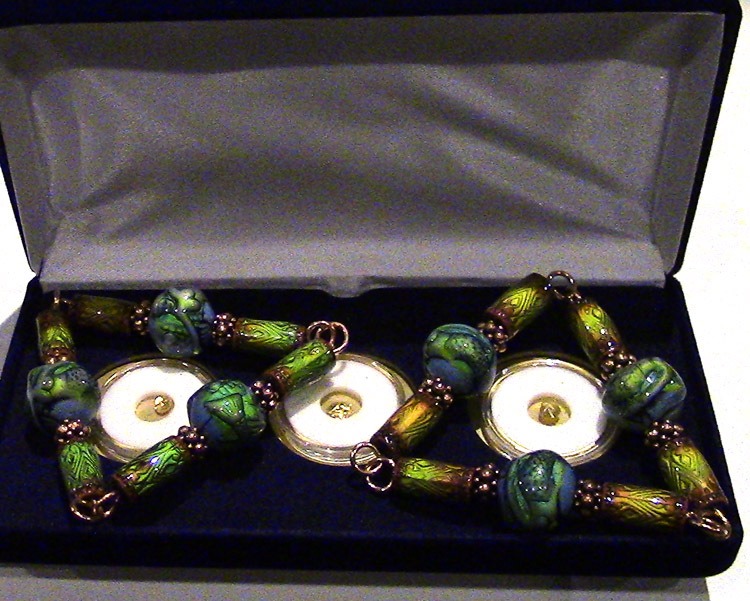 A variety of shapes, sizes, colors and categories of beads were used, including wood, ivory, bone, tooth, shell and a wide variety of gemstones, both drilled and wire-wrapped in coils. In my collection of ancient Triads, you will find a number of smaller hand-held portables that are built around garnet, carnelian, lapis, amber, turquoise and quartz healing stones. 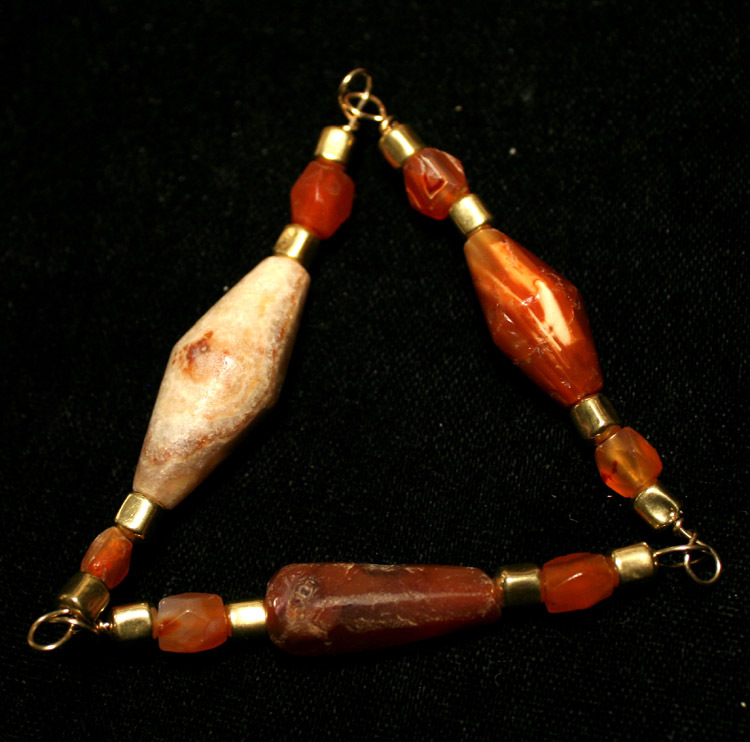 Solid gold wire and hammered gold beads adorn this ancient Workshop of Klymnos Carved Carnelian Triad -- the second was not found. 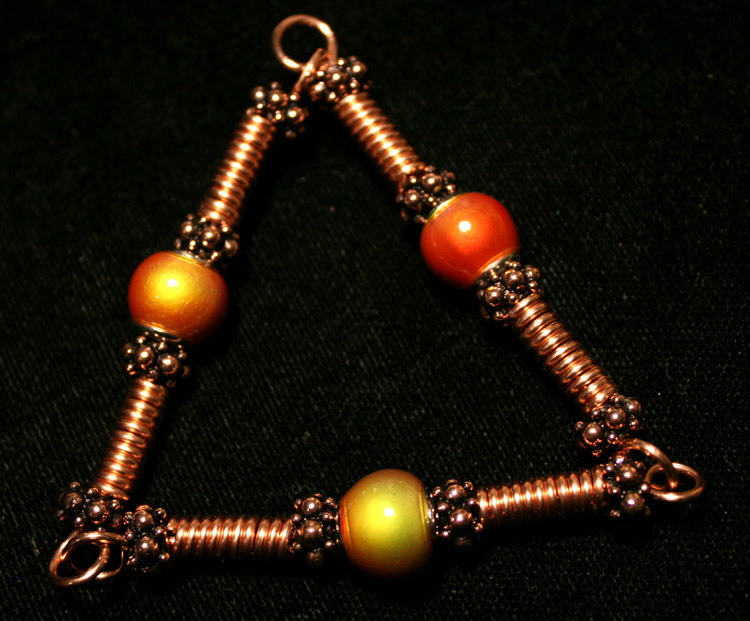 One of the larger Triads uses gem-encrusted gold focusing beads on a core wire of solid gold. One interesting item for those who cannot believe that the ancients had and used electricity is the incontrovertible fact that the focusing beads have insulating material around the holes, to keep them from contacting the core wire. Insulating metal from metal is an action you'd only take if there were electrical current involved. Another interesting feature is the nature of the insulating material, a tree resin that was used to form the core of repousse beads, which these are emphatically not. 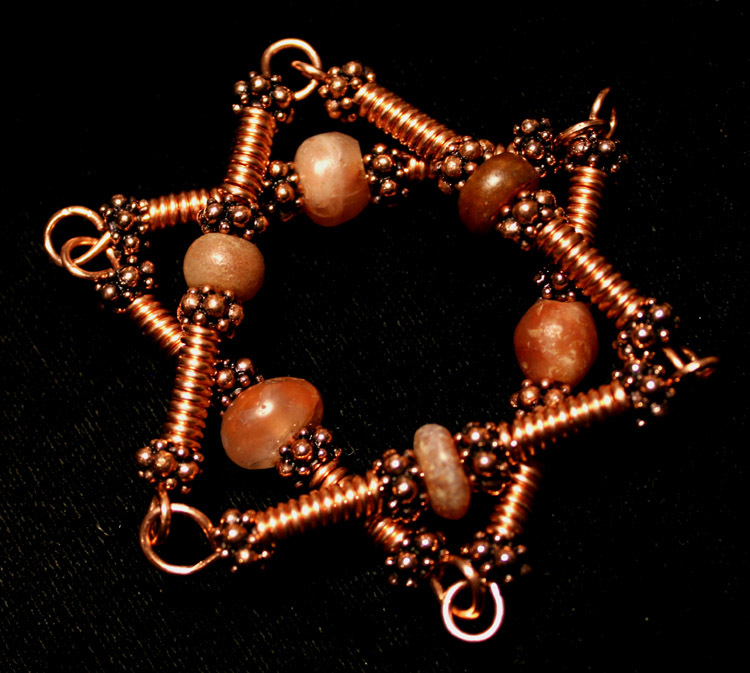 Rebuilt with modern copper wire, this double Triad forms a Star of David. The original carved Carnelian gemstones are dated about 1200 B.C. Of course, the ancients did not have color-changing EMO beads, and in fact, most of my modern copies of ancient Triads don't employ any item that could not have been made in ancient times, one example of which is a Triad that uses hand-wrapped (ouch, painful but worth doing, if historical authenticity is what you want). Hand-wrapping a coil is a painful and arduous activity. The coils have to be exactly eleven and a half turns, the coil core precisely at the right diameter, the lines totally straight and evenly matched, no flaw whatsoever in the manufacture of the radio coil. 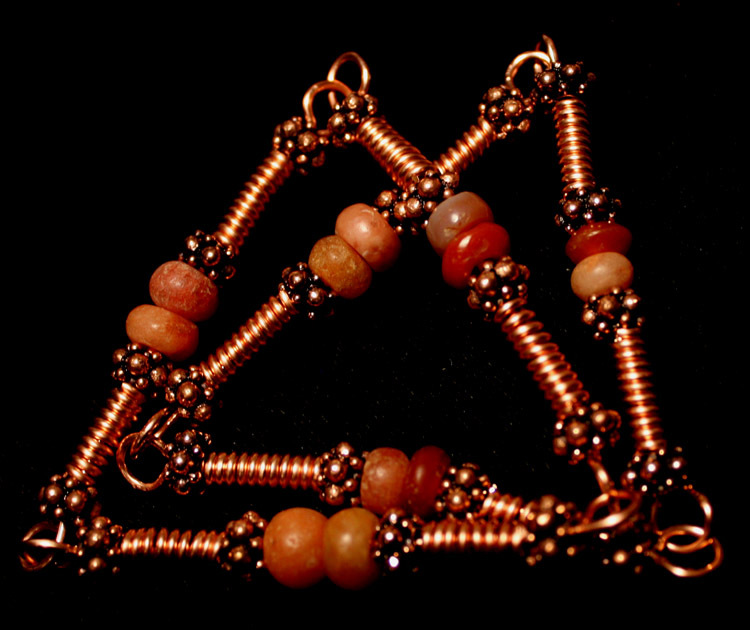 Double Carnelian Rebuild of a Tesla Style Triad, with ancient Near-Eastern Carnelian beads dated about 1200 B.C., made with modern copper findings & wire. In several examples of ancient Triads, they are made with pyrite crystals which have been double-drilled, consistent with ancient techniques, where the two drill-holes meet more or less in the center of the stone. Pyrite is used today as a diode to detect and pass radio signals, and formed the core of many early modern radios from about 1909 to 1912, notably in the Dunwoody Crystal Receiver that was so popular in the early 20th century. When I make a copy of an ancient Triad, I try to maintain the sense of the whole thing, the integrity of the unit being of utmost importance. I make no judgment about the wisdom of the choices made by the ancient maker. I duplicate it with materials as close as I can get to the originals, and try it out to see if it works. 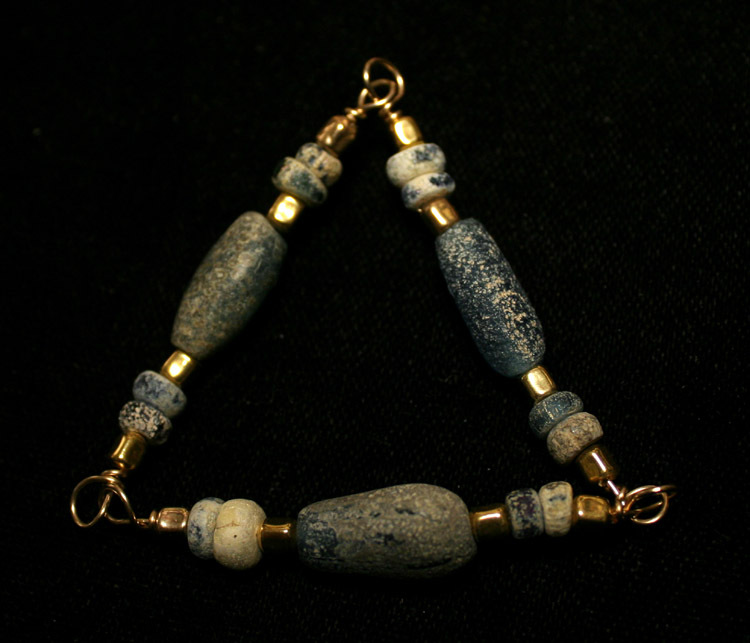 Rebuilt of an ancient Cobalt Glass Triad Set with ancient glass beads dated about 100 B.C. 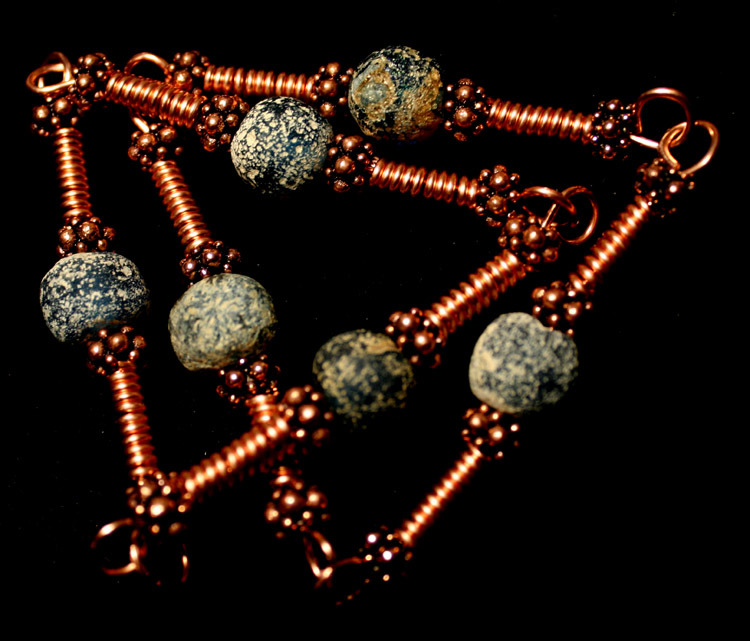 – 100 A.D. with modern copper findings & wire. Once I've determined the accuracy and efficacy of the modern copy, I make another unit with EMO beads, to see if they'll work in the same way, or if their workings are somehow different. 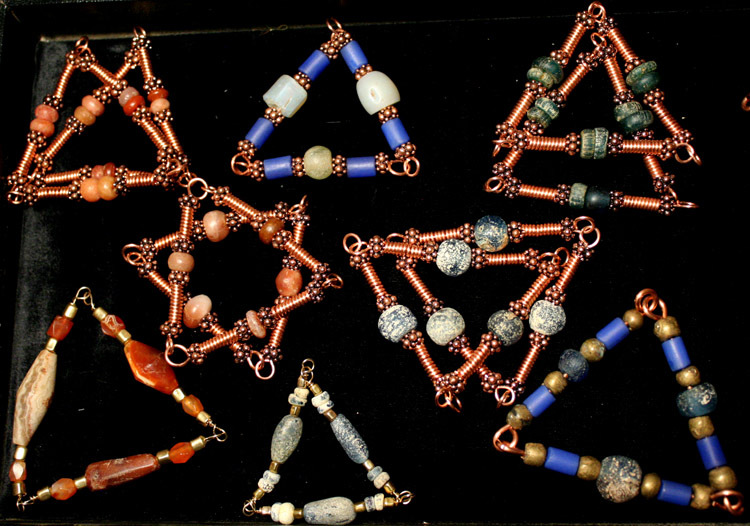 In two cases, I couldn't make the EMO beads work without adding the gemstones used in the original, and when I subsequently removed the EMO beads, the effect was the same, so I left them out of those two units, one of which was the inspiration for the PORTAL KEY Triad, that can be worn, carried and activated to unlock various Star Gates, Portals and Gateways around the planet. Ancient Milk Glass Primaries and Cobalt Glass Tubes dated about 100 A.D., reconstructed with modern copper findings & wire. Portals you can contact through, get information, data, pictures, guidance, healing help, and even blueprints of highly advanced technologies, like the Atlantean Triads. Star Gates I don't deal with. My best advice is to stay away from them. They lead nowhere and will not help the situation. Gateways you can walk through. Ancient Glass in double configuration, a working reconstruction with ancient materials reconstructed in usable modern metals. One word of warning about Gateways; they are strictly one-way. You can't go back, but by the time you use one, you won't be thinking about going back where you came from. This is one way to avoid planetary catastrophe, by simply selecting another lifeline, but few folks will do this, and the ones that do are always able to narrowly avoid disaster. "Narrowly" is the operant word here. There is no modern equivalent of ancient glass. I should mention several other examples of ancient Triads. 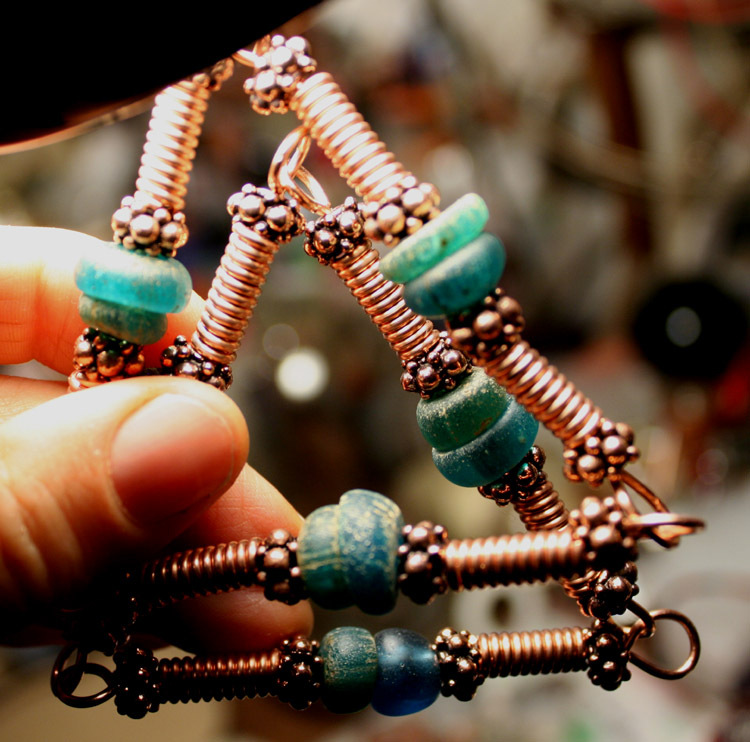 One is made of bronze, with 2.5mm coils wrapped around quartz crystals. It is quite heavily patinated, with a burial time of about 6,500 years, and was excavated in 1972 in Had Garbia, North Africa. It isn't anywhere like usable -- the deterioration is quite bad, but the patination is incredible, so I keep it on display in my little Atlantean Museum, which will soon be visible online. What about the big Atlantean Machines? You're probably thinking of the Giant Death Ray featured in the 1961 blockbuster film "Atlantis The Lost Continent" with Ed Platt, the chief of CONTROL as Azar, the head priest of Atlantis. The film is notable for its borrowed footage from Quo Vadis. The box office report is that between four and six people saw the film, and two of them were the producer's and director's mothers. There is no Atlantean Death Ray, although particle beams are now being harnessed for this purpose by several U.S. companies developing the Tesla Particle Beam Weapon he created that redirected narrow streams of non-dispersive particles, driven by electrostatic repulsion, much as magnetic weapons are made today. 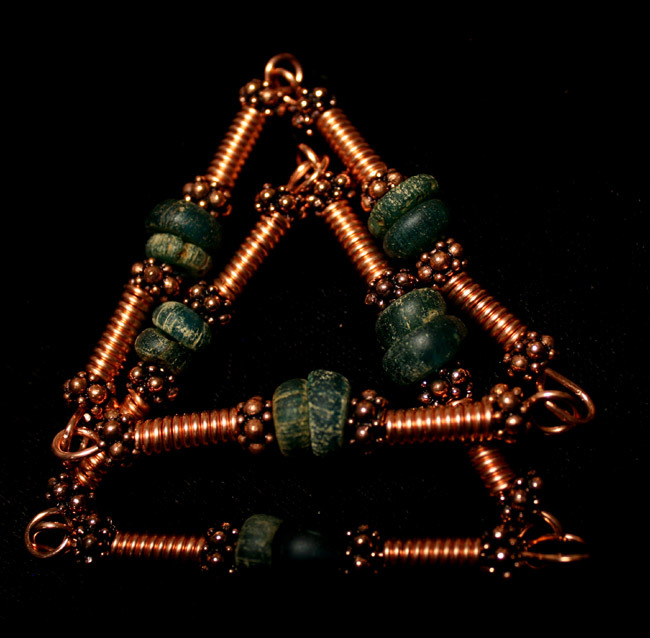 The Amazing Tesla Triad, made with genuine Steve Sax EMO Beads & modern copper findings & wire, made in the traditional PALEO TECHNOLOGY. Liquid mercury is accelerated to high voltage by the use of a simple Tesla coil magnifying transformer, developed almost 100 years ago by Tesla. The schematics for this weapon were stolen when Tesla was murdered in his hotel room. The FBI denies any knowledge of the whereabouts of his personal effects and his body, which were removed from the room minutes after his death. Tesla had predicted several days earlier that he might be killed for this invention, and he was right. Don't worry, your Atlantean Machine won't bring down 10,000 aircraft or lay waste to the environment right to the horizon. A particle beam weapon isn't due to show up on Earth for at least another year or two, by my calculations, which are seldom wrong, and it'll be a small unimportant nation that develops the first one, but the big industrial giants will invent the real planet-shakers. Particles are waves that behave like particles. Some day some scientist will be able to prove that, and I won't sound quite so fringy, although in some respects, that fringiness will never go away, as in my Periodic Table of Angels. Miniature Tesla Triads make the POCKET WONDER, a terrific carry-along Healer's Helper that should be part of your everyday living technology. Angels behave in group fashion, meaning that some of them are like halogens, some are really solid, impermeable neutrals, like nitrogen. Others react to just about everything, right down to the smallest petunia, like oxygen and hydrogen, and still others are fast to half-life, yet immortal -- put that in your pipe and smoke it. 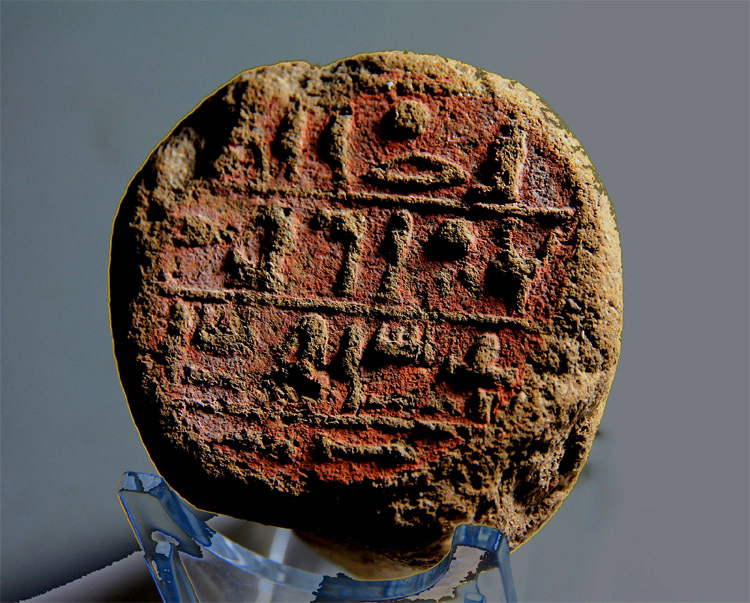 This 18th Dynasty Funerary Cone is just one of thousands of pieces of evidence demonstrating the use of Triads in ancient times. 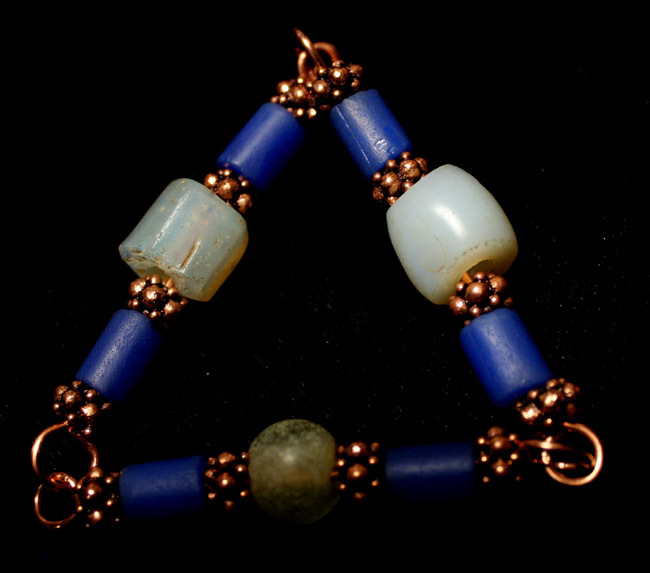 You might be surprised to learn that you can still pick up an ancient Triad in the markets around the world, notably in the Middle East, Asia and Africa. The most productive searches for me were in Asmara, Ethiopia and of course, Bamako in Mali, the bead market capital of the ancient and modern world, where ancient beads abound. Among the tens of thousands of specifically ancient beads you'll find at the marketplace, you will certainly unearth at least a dozen ancient Triads or Triad earrings, pendant or broad-collar, because they were, as I said, used globally by just about every healer on the planet at that time. How will you recognize an ancient Triad when you see one? The best way to learn the configurations is to see and study them, and I will be exhibiting many examples of ancient technology including the Triads in my online museum which is presently under construction, pending photos of the pieces, most of which are entirely original, unreconstructed. They are presently in the photo department, finally getting photoed after all these years collecting dust on the shelves. Please be patient. Everything has to be tagged, identified, weighed, measured and set up into the photo booth, then processed and compared with the original to the photo. All the data must then be transferred to two different work posts, where they will be processed for inclusion in the online museum. Technical details notwithstanding, the whole operation should take less than a few weeks to at least see some small result. Eventually, all of over 1,600 ancient works of art and science, featuring Alien & Atlantean Technology, will be on open display with explanations of each item, and hopefully some interactive demos and videos showing their use and applications. Claude is working on an ancient technology section that will show how incredibly advanced ancient cultures were, in ways unsuspected by modern people. You will not believe how close their civilization was to ours today, including toothpaste, cosmetics, refrigeration, indoor toilets, hot baths, fast food takeouts, public toilets and the crowning achievement of the ancient world, the Vomitorium, allowing you to pig out until you blowed right up, and then return for more. Healing for the ancients included Rising from the Dead, an art no longer appreciated by modern man. Rising from the Dead meant more than just emerging from an open grave and walking about. Rising from the Dead in spiritual terms means emerging from the primordial ooze that is a living soft robot, such as the one you're wearing now. Again, you will not believe how much information is carried by DNA, including specific behaviors, inherited memory and skills, and predispositions that are uncannily, eerily specific. There is no other way to Rise from the Dead but to do it. Take the Rise From The Dead Challenge today!